We chat with Retreat Here founder Sabijn Linssen about wellness retreats, her favourite hotels and top travel picks in 2017. 1. Sab, tell us about your background and why you started Retreat Here? I created Retreat Here as a passion project inspired by plenty of travelling, a career of more than 15 years in the travel industry, and a strong belief that in today’s world – now more than ever – people need to take care of their personal well-being. Retreat Here’s mission is to improve the individual well-being of Australians (and soon Europeans, as there’s plans to expand) by creating unique wellness holidays, taking all research and travel planning out of their hands, and ensuring every escape is an inspiration to lead a healthy, happy and fulfilling life. Our ‘always-on’ society comes with long working hours and a busy social life. I believe the key to a happy and healthy life is a good work-life balance and it is important to regularly take a well-earned time-out for yourself. Whether that’s a yoga class after work, a two week wellness holiday or a weekend escape in a secluded boutique hotel. Just make sure you nourish and rebalance your mind, body and soul. 2. What is unique about your business? We offer a personalised one-stop Travel Service for anyone who wants to invest in their wellbeing or the wellbeing of their employees. The booming wellness industry has lead to many hotels calling themselves ‘wellness hotels’ and the sheer volume of retreats being sold online can make the healthy trip-planning process rather difficult. Just like any good travel agent would take care of your full itinerary including flights and ground transportation, so does Retreat Here for wellness holidays. 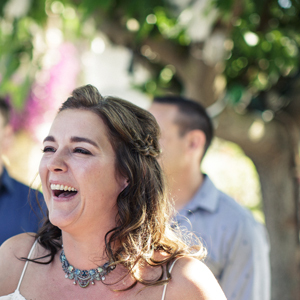 This can be an individual health program at a wellness resort like COMO Shambhala or Kamalaya, one of our custom programs at Nihiwatu wilderness resort, or a group retreat where you can connect with like-minded people. But, it could just as well be a peaceful island resort where you can reconnect with nature, without necessarily following a structured health program. Regardless of your choice of wellness holiday, we always follow a holistic approach to sourcing your retreat experience to ensure you can do what’s best for your mind, body and soul. To emphasize this, every hotel listing on our website has a ‘mind, body and soul’ section in which we give a brief recap how the property benefits your mind, body and soul. On top of planning rejuvenating holidays for leisure travellers, we also offer retreat planning services for wellness professionals and corporates to help them with any logistics that are part of a retreat – think venue search, transport, externally sourced activities. 2. 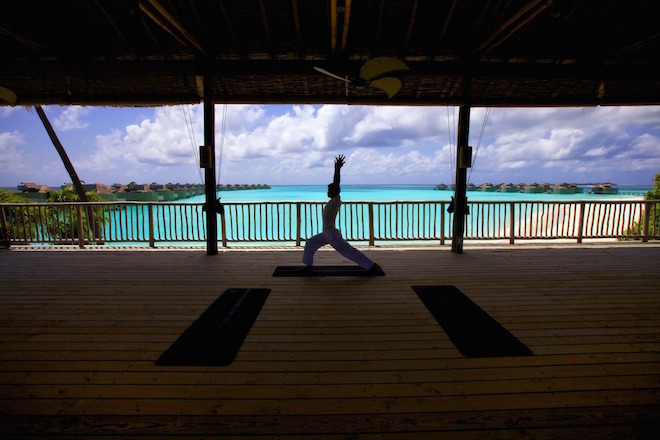 When it comes to healthy holidays and wellness retreats – which are your most popular packages and destinations? It really depends on the type of traveller (single, couple, family) and if they have any specific health goal in mind. Thailand and Indonesia are popular destinations, with amazing wellness hotels, group retreats and of course easy access from Australia. Kamalaya in Thailand is popular due to the many different retreat programs, amazing spa treatments and tranquility of the resort. However, more and more Australians fly out to Europe for a wellness holiday. The SHA Wellness Clinic near Alicante is a great example of a sought-after place in Europe. We also have customers who simply want to spend their trip away from technology, reading a book in a hammock or embracing their natural surroundings. In this case, we source a peaceful hotel on a tropical island or in the jungle at the customer’s destination of choice. 3. What process and criteria is involved in selecting your destinations and programs, do you and your team personally test them all? It is incredibly important to visit and experience these places to ensure it fits our criteria. Every hotel and wellness program, whether listed on the website or in our offline database, is carefully reviewed to ensure it is in line with our ‘mind, body, soul’ sections. I recently got back from a trip to Thailand and Indonesia where I visited Kamalaya Wellness Sanctuary, Six Senses Koh Samui, The BARAI Destination Spa, Evason Hua Hin, Chiva-Som International Health Resort, Mandarin Oriental, COMO Shambhala Estate, Svarga Loka, Alila Uluwatu, Nihiwatu, Bulgari Uluwatu, COMO Uma Ubud and Amanusa. My next trip will be to Spain and hopefully Sri Lanka. Of course, visiting these destinations takes time and when we haven’t had a chance yet to personally review, we always make sure to speak to a colleague who has or organise a skype session with the sales manager of the hotel. 4. Of the programs and destinations you offer which are you favourites and why? Nihiwatu on Sumba Island in Indonesia is definitely my favourite destination at the moment. It’s only a 45min flight from Bali but an absolute off-the-beaten-path destination. Especially compared to Bali, it can be a breath of fresh air. Nihiwatu’s villas are beautiful and the yoga deck above the trees offers the most stunning views and sunsets. We have actually custom designed three wellness programs at Nihiwatu as the resort isn’t necessarily a health retreat. It attracts a lot of honeymooners, couples and surf devotees as it’s situated right in front of Occy’s Left, a famous surf break. But the location and Sumba Island itself forms the perfect stage for a wellbeing experience. 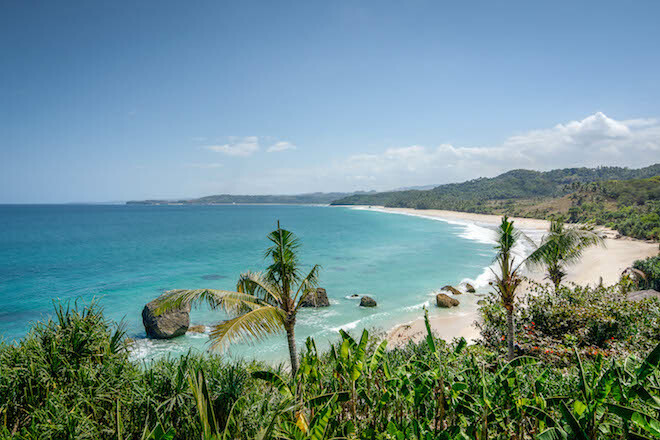 Our programs are a great way to experience life in Sumba, connect with local cultures, practice yoga and embark on a full day Spa Safari to a remote part of the island. During the Spa Safari, you’ll have access to a private spa therapists all day and you can choose from a range of treatments that you enjoy in your very own spa pavilion. It doesn’t get any better than that. Another favourite is Amanwana Wilderness Retreat on Moyo Island offers a fully customisable Wellness Cruise with private yoga and dive instructor, that takes you to the most beautiful parts of Indonesia. 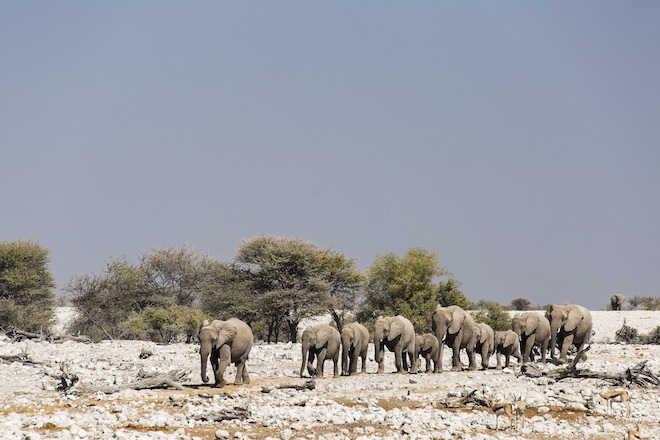 And finally, our Yoga Safari Retreat in Namibia, a super special way to connect with African wildlife and nature whilst practicing yoga along the way. 5. Which are your all-time favourite hotels and what made your stay so special? Kamalaya in Thailand has the wellness concept down to a tee: the grounds are peaceful and green, there are no TV’s in the rooms which makes it the perfect place to really switch off. The therapists are fantastic and they have a huge variety of wellness programs to choose from, a daily activity schedule and great (detox) foods. Highly recommend for solo-travellers and anyone who really wants to get away from it all and reconnect with nature. The Barai, which is a destination spa in Hua Hin, is probably the most impressive spa I’ve ever seen. It is Luxury with a capital L, and they offer five lifestyle programs that can be entirely customised to your needs. The eight suites are almost palatial and absolutely huge, and the staff will do everything and anything to make your stay as comfortable as possible. The spa was designed based on the Elements and it is by far the most beautiful design I’ve ever seen. Pictures don’t do justice though, it’s a place you need to experience and feel the energy. Less obvious for a wellness retreat are the Six Senses properties, my favourite Six Senses Laamu in Maldives and the one in Oman, Zighy Bay. They offer Integrated Wellness Programs from 3 to 14 days and are ideal if you want to combine some wellness with a luxurious and eco-friendly getaway, and perhaps some ice cream indulgence. Six Senses have recently started their ‘Sleep with Six Senses’ program, which is designed to help you get the best rest possible. 6. When it comes to culinary destinations, could you share your favourites and some of your favourite spots to dine? Thailand is my number one country when it comes to food. I don’t think I have ever eaten tastier dishes in any other country. Although I’m a huge fan of Mediterranean food as well, the spices in Thailand just take your meals to a whole other level. I love to eat street food at local markets, but can also appreciate more upmarket cuisine such as Nahm restaurant at the COMO Metropolitan hotel in Bangkok. Another great place in Bangkok is Cabbages & Condoms (yes, that’s right!) which serves delicious and affordable Thai food and donates all proceeds of the restaurant to the PDA charity which assists the Thai population with family planning. Every time I’m in Bangkok I head back to this place, it’s absolutely delicious. 7. Do you have any go-to resources for travel stories, research and inspiration? I read a lot of travel and wellbeing magazines, travel and wellness blogs and also get inspiration from Instagram or Facebook. I am subscribed to many many wellness hotel newsletters as well as the Global Wellness Institute news to stay up to date with the latest trends. Some include: Travel & Leisure, Luxury Travel Mag, Mind Body Green, Well and Good, Sporteluxe, The Fit Traveller, Wellbeing Mag, Australian National Health Mag, MindFood, The Collective Hub and Muse. 8. Which countries are your top picks to visit in 2017? Sri Lanka, Greece, and the more unexplored regions and remote islands of Indonesia : Sumba Island, Java, Flores Island and Moyo Island. Consciousness: Retreat Here is all about creating connections with and for our customer and ensuring customers are aware of the sustainability practices and level of community involvement of the hotel they’re staying at. 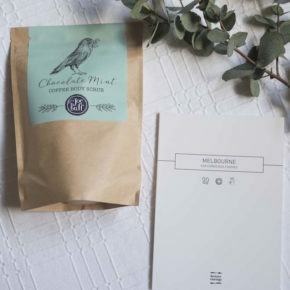 This reflects in the SOUL section of each hotel listing and usually gives a brief description of the eco-friendly initiatives, how you can connect with local cultures and to which charity the property donates. Notes: We are currently working on a one-day wellness retreat in Melbourne which will focus on re-balancing mind, body and soul. It will involve yoga, a DIY essential oil making class, meditation and nutritious foods. No date has been set but if you want to stay in the loop, you can sign up to our newsletter (and get a free wellness guide as a bonus!). Other Social Media Platforms: retreathere (Pinterest) and +RetreatHere (Google Plus).